Best Test Architecture and Programming Track Paper at Autotestcon 2011, in Baltimore, MD. for A Methodology for Enhancing Legacy TPS/ATS Sustainability via Employing Synthetic Instrumentation Technology , Authors, Carey, Lowdermilk, Antall, and Allegra. John Slattery Professional Acheivement Award, IEEE/NDIA-ATC at Autotestcon 2011, in Baltimore, MD. Wilkes University Adjunct Faculty Teacher of the Year: May 2006, May 2004, May 2003. Walt Peterson IEEE Memorial Award for the "Most Technologically Significant" paper on A New Breed of Smart Depot Testers using COTS Technology at Autotestcon 1995, in Atlanta, Ga.
A Methodology for Enhancing Legacy TPS/ATS Sustainability via Employing Synthetic Instrumentation Technology , IEEE Proceedings Autotestcon 2011, September 2011, Baltimore, MD. Tobyhanna Army Depot Automated Test System Modernization, IEEE Proceedings Autotestcon 2010, September 2010, Orlando, FL. Improving Functiona/Diagnostic Testing using Model-Based Reasoning, IEEE, Proceedings Autotestcon 1998, September 1998, Salt Lake City, UT. Prognostic Framework, IEEE, Proceedings Autotestcon 1998, September 1998, Salt Lake City, UT. A New Breed of Smart Depot Testers using COTS Technology, IEEE, Proceedings Autotestcon 1995, August 1995, Atlanta, Ga. Synthetic Instrumentation Integration Report, US Army at Tobyhanna Army Depot, June 2011. 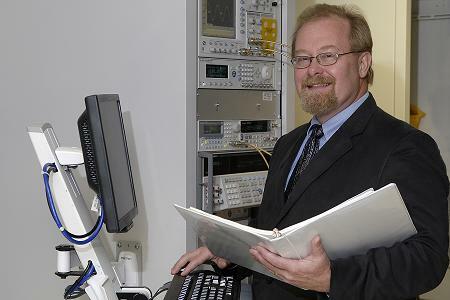 Automating the Diagnostic Development Process for Production and Maintenance Test Program Sets using Model-Based Reasoning, Lockheed-Martin, December 2006. 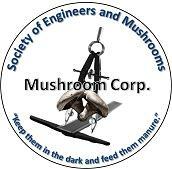 Founding member of the Wilkes-Barre Chapter of the Mushroom Corp.
"Enhancing the Diagnostic Process for Legacy Test Program Sets using Fault Modeling and Dynamic Reasoning"
The electronics industry and the Department of Defense (DoD), has thousands of obsolete legacy automated test systems (ATS). There are many systems, with different hardware and software architectures, that cannot be upgraded. The inability to reliably test products, diagnose faults, and collect historical data is having an effect on mission readiness. This thesis produced a test and diagnostic system architecture that provides a means to use historical test and repair data from all levels of operation. The process reduces rework costs and decreases maintenance and repair costs through earlier and more accurate fault isolation. This work recoups the efforts of the original developer and captures test and diagnostic knowledge for the future. It has been adopted by the DoD maintenance community as a means to guarantee continued support in meeting mission requirements. Consequently, the concept has been proposed, reviewed, and approved for implementation within the Army ATS/TPS centers for use at the Army maintnenance depots. Additional benefits from this work: development of a reliability database for system, subsystem, component by test type and ATS; tracking system reliability and mission performance data for use in developing requirements for new or upgrade system procurement specifications; and for pushing diagnaostic knowledge and support from the sustainment level to the field and vice versa. The work presented will change the process of developing, maintaining and migrating diagnostic test now and into the future. This page was originally posted: 10/2/03; 10:04:21 AM. This site is using the Slab-Blue 1.0 theme.